Includes a Contraction Poster, Word Search, and 18 Match Puzzles! 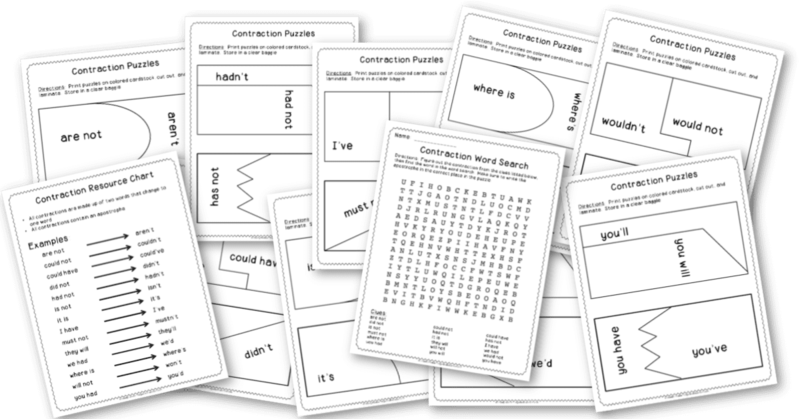 Contraction Practice Made Easy! 11 Total Pages! "My kids beg to do the contraction puzzles on free choice day!" "I love how I can print extra copies of the poster and insert in my students' language arts folder as an extra resource."